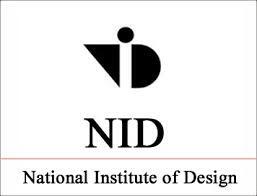 National Institute of Design (NID) has published Advertisement for below mentioned Posts 2018. Other details like age limit, educational qualification, selection process, application fee and how to apply are given below. B. Des (UG) or equivalent in Design or related subject with minimum 20 years of experience in design education/research/profession. Pay and allowances: The post carries pay in Level-12 (Rs 78800-209200) of the Pay Matrix plus admissible allowances as per the Govt. of India and NID norms. Approximate Gross Emoluments at the minimum of the above pay matrix will be about Rs. 1,10,000/- per month. The Institute, at its discretion, may offer initial appointment on contractual basis for a fixed tenure, with consolidated/ fixed pay commensurate with qualifications, experience etc. Maximum Age limit is 50 years. M. Des (PG) or equivalent in Design or related subject with minimum 10 years of experience in design education/research/profession. OR B. Des (UG) or equivalent in Design or related subject with minimum 12 years of experience in design education/research/profession. Pay and allowances: The post carries pay in Level-11 (Rs 67,700-208700) of the Pay Matrix plus admissible allowances as per the Govt. of India and NID norms. Approximate Gross Emoluments at the minimum of the above pay matrix will be about Rs. 95,000/- per month. The Institute, at its discretion, may offer initial appointment on contractual basis for a fixed tenure, with consolidated/ fixed pay commensurate with qualifications, experience etc. Maximum Age limit is 50 years. M. Des (PG) or equivalent in Design or related subject with minimum three years of experience in design education/research/profession. OR B. Des (UG) or equivalent in Design or related subject with minimum five years of experience in design education/research/profession. Pay and allowances: The post carries pay in Level-09 (Rs 53100 -167800) of the Pay Matrix plus admissible allowances as per the Govt. of India and NID norms. Approximate Gross Emoluments at the minimum of the above pay matrix will be about Rs. 75,000/- per month. The Institute, at its discretion, may offer initial appointment on contractual basis for a fixed tenure, with consolidated/ fixed pay commensurate with qualifications, experience etc. Maximum Age limit is 35 years. The institute also invites applications from the fresh design graduates, having UG-GDPD/PG- PGDPD (B.Des/ M.Des) qualification from a reputed design institute/ university with flair and interest in design education and research. Good communication skills and documentation abilities are highly desirable. Maximum Age limit is 30 years. Selected candidates will be paid the all-inclusive consolidated salary of Rs. 60,000/- per month.